The Walter & Pauline Adams Academy of Instructional Excellence and Innovation is named in honor of former MSU President Walter Adams and his wife and MSU faculty member emerita, Pauline Adams, in recognition of their sustained commitments to promote instructional excellence. The program brings together a cross-disciplinary group of faculty and academic staff for a year-long fellowship focused on teaching and learning. Adams Academy Fellows explore the literature on effective university teaching and learning practices and consider how this robust body of research can be used to guide instructional decisions in the courses they teach. Participants learn from and contribute to a community of teacher-scholars committed to excellence in teaching and learning. All tenure-system faculty, fixed-term faculty and academic staff with three years or more of experience teaching at MSU are encouraged to apply. A stipend will be given to each fellow for professional development activities. The Adams Academy meets monthly throughout the academic year. 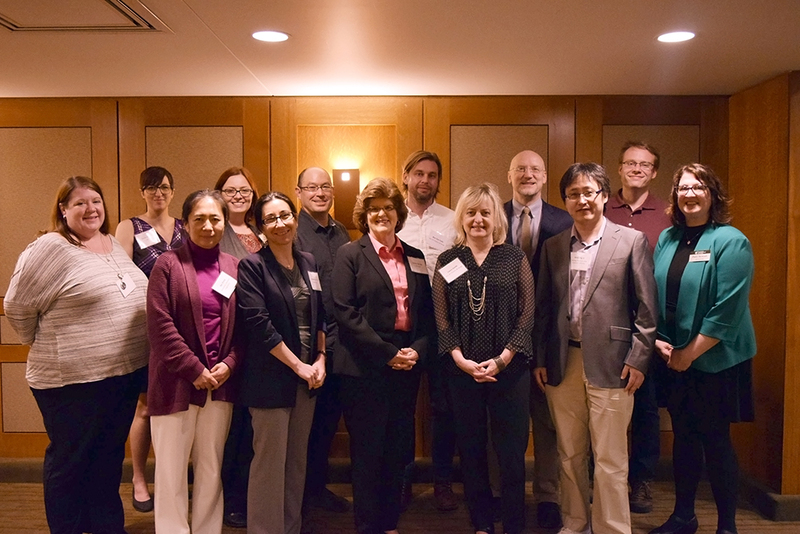 During 2016, the Academic Advancement Network undertook explorations to re-envision both the Lilly and Adams Fellowships offered for many years through the Office of Faculty and Organizational Development. The exploratory conversations included a number of campus stakeholders, including former Lilly and Adams fellows. In our conversations, we learned that both programs are valuable to the campus community, an outcome consistent with past program evaluations. We also identified opportunities to strengthen each program for individual participants and for the larger campus culture with regard to learning and teaching. In 2017-18, both programs became available to all academics who have significant teaching responsibilities, regardless of appointment type. The call for Adams fellows typically goes out in the late spring of each year. The application deadline is in April of each year, and notifications will be issued in May.